People who use safety razors tend to criticize men who shave with a cartridge razor. Despite their criticisms, cartridge razor sales have never been higher. 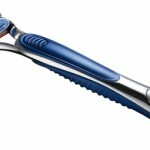 Companies like Gillette and Schick make billions every year thanks to this product in particular. These modern disposable razors are extremely convenient for the super busy 21st-century man. 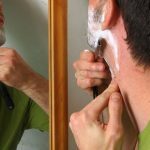 While cartridge razors may not offer as smooth a shave as a safety razor, there are numerous techniques to help you get the most out of them. In this article, we’ll take a brief look at what exactly a cartridge razor is and then tell you how you can get a great shave using one. 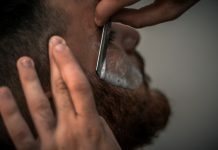 What Exactly Is a Cartridge Razor? Most people get cartridge razors mixed up with disposable razors. 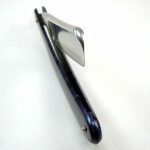 However, cartridge razors were designed so that a user can keep the handle and just replace the actual razor. On the other hand, disposable razors must be thrown away entirely after a few uses. The two main selling points for cartridge razors are that they are low cost and that they take almost no time to learn how to operate. There are all different kinds of cartridges available today with various amounts of blades. These razors were designed more for convenience than quality. 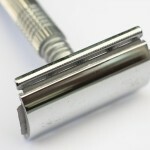 However, there are ways to get an almost professional shave using a cartridge razor. 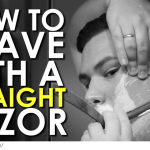 We’ll explore some great tips for shaving success below. The key to a great shave with a cartridge razor is simple: moisturize the skin. We’ll return to this phrase over and over again every time someone asks us how to shave properly. 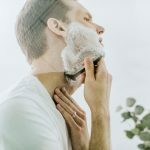 Since the blades on even the best cartridge razors aren’t as expertly designed as a safety razor, you need to be sure your face is well lubricated before you even begin shaving. To help achieve this goal, it’s a good idea to purchase some pre-shave oil. You apply this solution right on your face before applying the traditional lather. The oil will both help your skin retain moisture and protect it from the razor. Be sure the product you choose has ingredients that won’t dry out your skin. Usually, some quality oils include shea butter, grapeseed oil, jojoba oil, and sunflower oil. Your product shouldn’t have spices like thyme, pine, ginger, cinnamon, peppermint or lemon balm. While all these spices smell great, they don’t help your skin retain moisture. Nowadays, most razors are made of stainless steel. However, if you come across a razor that is not a stainless-steel product, you should better avoid purchasing or using it. Stainless steel is brilliant in creating sanitary medical gear and surgery tools. That’s because this material can keep bacteria away. Therefore, if you want to be on the safe side and maintain a proper hygiene during your shaving process, choose wisely. Another thing to consider is the quality level of your stainless-steel cartridge razor. Keep in mind aspects such as diameter, thickness, grinding, and cut when you purchase a new shaving razor. 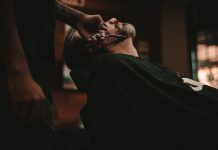 This step is necessary if you have a long beard or thick facial hair. You might think that the blades of a cartridge razor are basically invincible. Well, that might be true for most men. 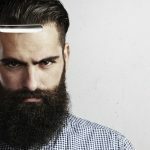 However, if you let your beard grow for a couple of weeks, you should consider trimming it before shaving with a cartridge razor. Before using the razor, you should make sure your beard has reached a manageable length. Still, this step also depends on how quick your facial hair grows and how thick it is. 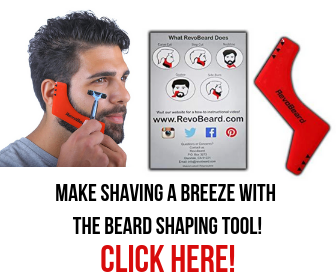 You can choose one of the best beard trimmers to obtain the ideal results. You might have heard this advice before, and it might sound obvious to you. Still, you should always shave with the grain. Sometimes, going against the grain provides a smoother and closer-to-the-skin shave. However, make sure that you shave your entire beard by going with the grain before applying the cartridge razor against it. Don’t just clean the razor after you are done shaving. For best results and proper hygiene, you must rinse the cartridge razor several times during the shaving. This type of tool is well-known for the clogged hairs and shaving cream that get stuck in it. Therefore, rinsing the razor’s blades almost after every single stroke is essential. If you don’t keep your razor clean, the risks of getting razor burns will get higher. This can further lead to clogged hairs under the skin and even infections. Shaving smoothly right from your first attempt is almost impossible. Because you will most likely need to go over your hairs the second or even the third time, rinsing off the shaving cream residues before applying a new cream layer is important. This must be considered especially because the second time you use the razor, you will be required to go against the grain. This makes your skin more vulnerable to cuts or irritations. 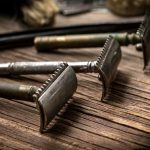 Hopefully, this article has helped you understand what cartridge razors are and how you can use them. Again, a cartridge razor isn’t as “high-quality” as a safety razor. 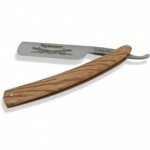 You need to do a lot of prep work to get a world-class shave using these razors. However, cartridge razors keep receiving new updates now more than ever. You just can’t beat the convenience these razors offer. 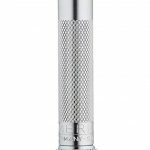 If you’re not in the mood to learn how to use a safety razor properly, then cartridge razors are your best bet. 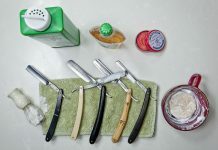 To get an even higher quality shave with these razors, just add a hot shower, oil, good shaving cream, and aftershave balm to your daily routine. All of the products detailed in this article are easily available in convenience stores and online.